(434) 812-4066 International - Please note that international orders may take 8-24 days to arrive. Copyright © 2019 Victoria Stilwell Enterprises LLC. Do No Harm. Those powerful words sum up more than just Victoria’s force-free approach to dog training. They also resonate with all those who prefer to live in harmony with one another while respecting those that are different from ourselves. Wear this innovative new design to proudly stake your claim as someone who is devoted to making the world a better place, one dog at a time. 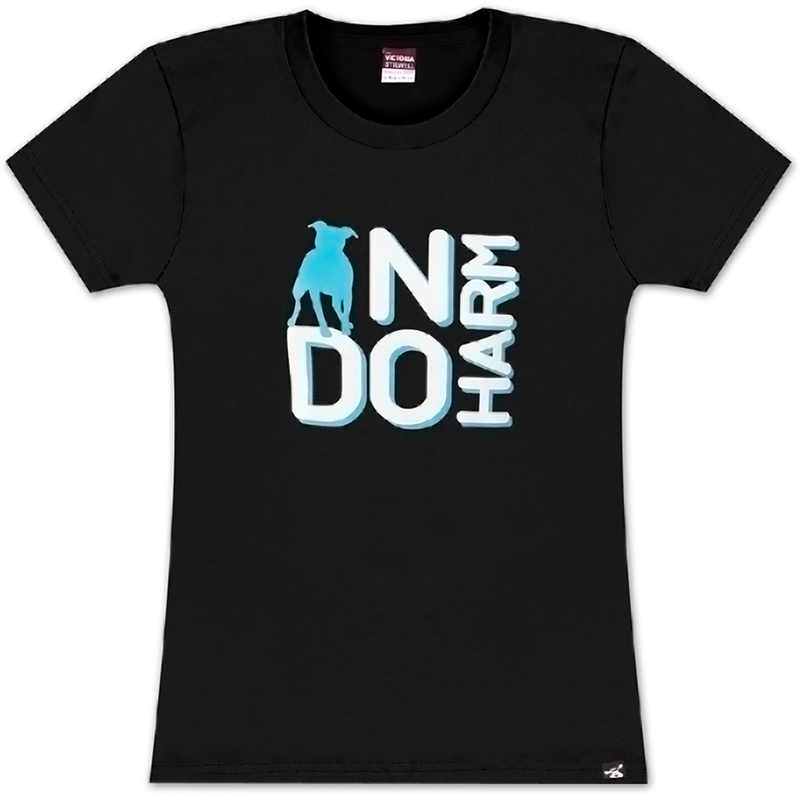 The Do No Harm tee is constructed 4.2oz, 100% ring-spun cotton. Cut to be a roomier flattering tee, it is true to women's sizing. This exclusive line of custom apparel combines the parallel passions of renowned dog trainer Victoria Stilwell and Dog is Good for celebrating and achieving the most rewarding relationships with our dogs based on mutual trust, respect and love... Positively.